Garage door remotes may need to be replaced for a wide variety of reasons. They can be misplaced, break, or simply cease to function due to circuitry malfunctions. When choosing a new opener remote, it is important to look for types and designs that will be perfectly compatible with your opener system. Choosing and buying the wrong one can be a waste of money. But luckily, this can be prevented. Our company has been replacing and reprogramming remotes for many years and we know exactly which ones will work with which opener models. From the various clicker options to the wireless keypads and more, our team can help you find the perfect remote for you. Unfortunately, this type of task is not as easy as pressing a button and standing back. Remotes actually need to be in complete synchronization with your opener unit in order to function properly. Different models will have different processes. Our team has a wealth of experience working with all of the industry's leading opener brands, so we are very familiar with the requirements of every single Clicker or remote. Many opener manufacturers have started integrating this feature into the models of their remotes and openers. 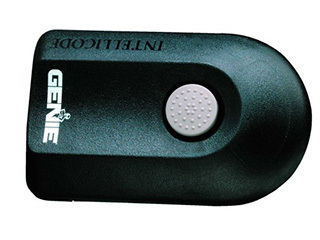 The Genie Intellicode and LiftMaster's Security Plus are great examples of that. This feature forces your opener to change your remote's access codes each time you use it to open your door. That means that if a tech-savvy thief was to intercept these codes, they would be completely useless. Rolling code technology is a wonderful feature that can greatly increase the security aspect of your home. When you experience issues with your garage door clicker or any other type of opener or remote-related problem, you can count on our team at Garage Door Repair Conroe to provide you with an effective solution. In most cases, we can offer you a replacement that is an exact match for what you are used to, or a model that will prove to be a significant improvement compared to your old one. Call us whenever you need our help.